Arlington, VA – The Arlington Dryer Vent Cleaning Wizard is passionate about educating residents about the importance of dryer vent maintenance. The Wizard applies the 80-20 Rule to dryer vent systems as she educates her customers about dryer fire prevention. More than 80 percent of American homes have a clothes dryer but only 20 percent of these residents understand that regular dryer vent cleaning service is critical to their safety. 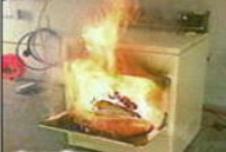 Over 17,000 dryer fires occur annually, resulting in deaths, injuries and more than $100 million in property damages. Failure to clean dryer vents was cited as the number one cause. The local dryer vent service Wizard is on a mission to eliminate dryer fires in her community while educating residents. Dryer Vent Wizard (http://www.NorthernVirginia.DryerVentCleaningNow.com) specializes in dryer vent cleaning, repair and installation services. They do more than clean vents; they help to ‘pre-vent’ problems in the laundry room, including hazards like mold, dust, dryer fires and carbon monoxide with gas dryers. Education is an important part of the Wizard’s service. Customers receive the highest quality dryer vent service available in the industry and valuable information to keep their family safe from dryer fires. 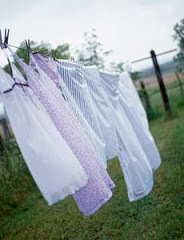 As an added bonus, customers notice lower energy bills and improved dryer performance. Janice Bittner has owned Dryer Vent Wizard of Northern Virginia since 2006. Her husband and partner, Doug was a commercial airline pilot and she was the director of marketing for a regional real estate services provider before going into the dryer vent business. Dryer Vent Wizard is making the neighborhood safer and greener, one dryer vent at a time. Doug and Janice Bittner serve residents and business owners in Northern Virginia, Fairfax, Sterling, Arlington and neighboring cities and communities. Visit http://arlingtondryerventcleaning.blogspot.com to learn more.